Pity there is no English equivalent idiom to the French “avoir un coup de cœur”. I’ll have to do with saying I really liked Kelmscott Manor, which seems an understatement somehow. In fact it was a complete crush and never mind if the aforementioned object of my affections is not flesh and blood. After today, I am sure you can have a crush on a building. 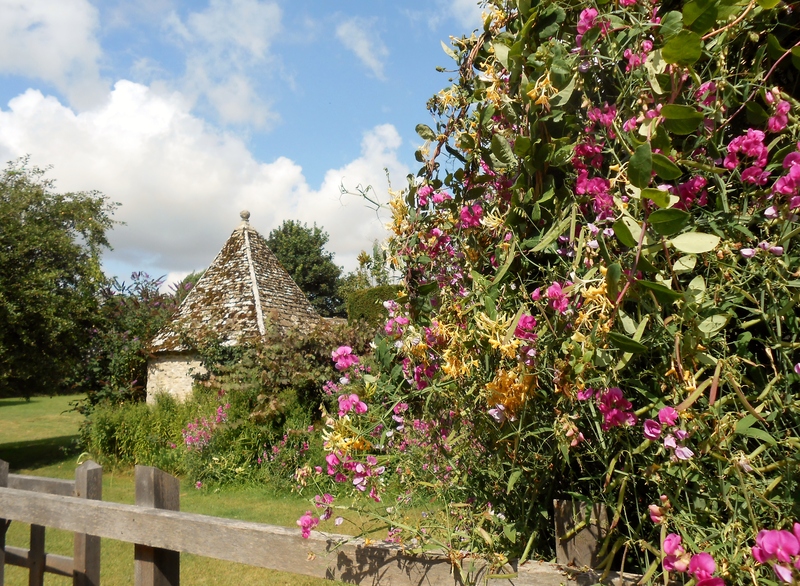 The building itself is a magnificent Tudor house from 1600 with several dependencies and a garden as beautiful as it is fragrant, all totally secluded from view in a very rural setting near Lechlade, West Oxfordshire. 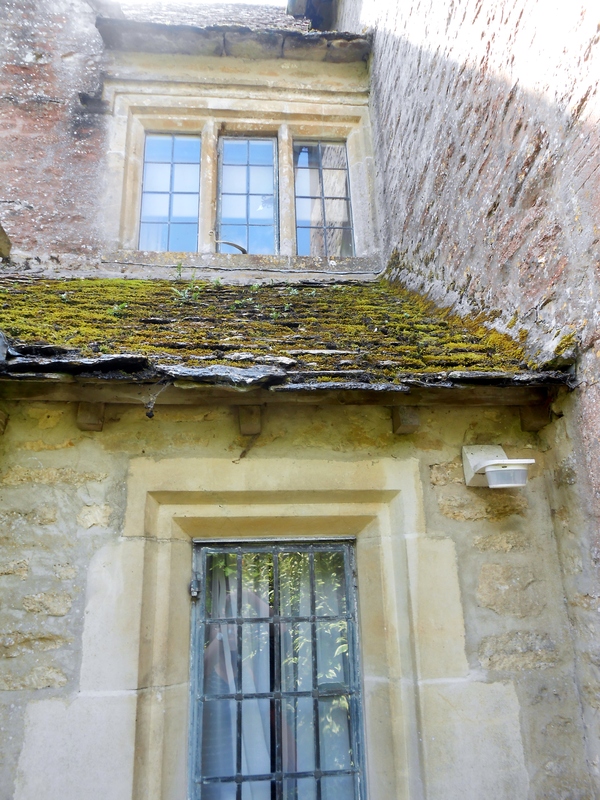 House sharing really isn’t a new trend in England since Kelmscott Manor was shared by the textile designer William Morris, a major figure of the English Arts and Crafts movement, and the Pre-Raphaelite painter Dante Gabriel Rosseti. As you can imagine with these two artists, the interior decoration is anything but bland. Each room is a feast for the eyes with little gems found in every corner. Most of the textiles and wallpapers are from Morris &Co and lift the rooms with their intricate floral patterns and various colour themes. Because of this, each room has its own personality and draws the visitor in. 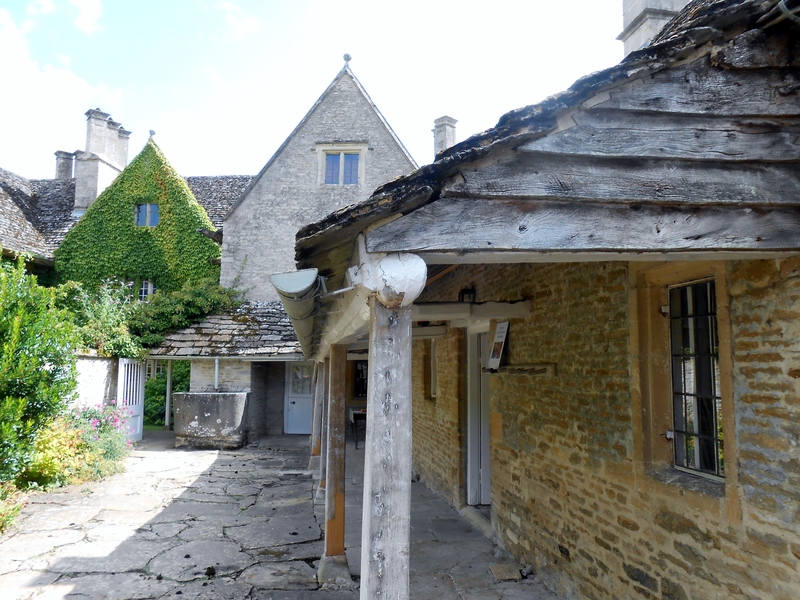 Where some estates can be intimidating and glum, Kelmscott Manor is warm and inviting. It was forbidden to take pictures inside but this is not necessarily a bad thing as I don’t think any picture could really capture the feel of the house and do it justice. Other than the rooms, I was impressed by Rosseti’s portrait of Jane Morris, The Blue Silk Dress (1866-68). I wonder when Instagram is going to create a Pre-Raphaelite filter since no other art movement has granted women with such impossible ethereal and captivating beauty. Kelmscott is not the easiest manor to get to. It is really in the middle of nowhere, accessible after a long drive through rural lanes with the car park located 10 minutes from the house itself and is opened only two days a week (Wednesdays and Saturdays in 2014). However, every effort is worth it and totally rewarded by the arresting beauty of the place. Go if you can, and even if you cannot. The Plough at Kelmscott, a few yards from the Manor, serves excellent food if you want to extend your stay in this beautiful part of the world. Review will follow. 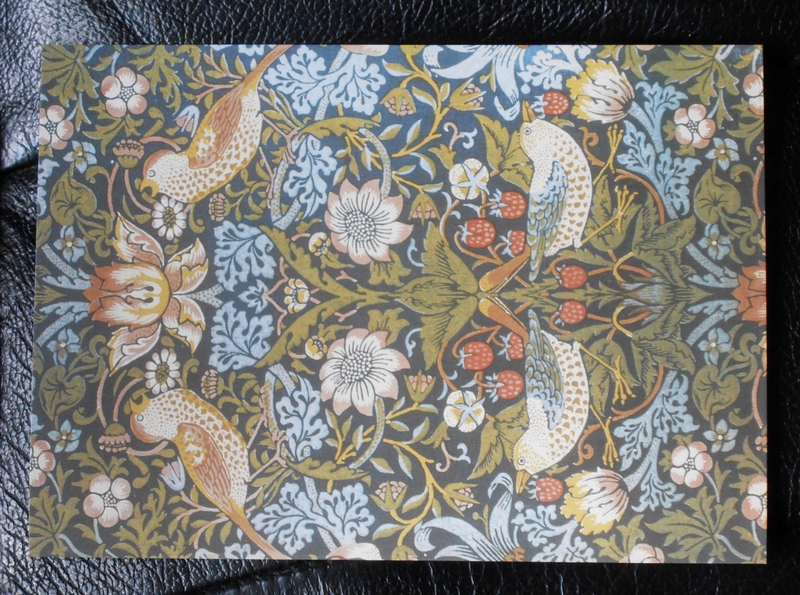 En Français: J’ai vraiment eu un coup de cœur aujourd’hui pour Kelmscott Manor, où résidait William Morris, un artiste célèbre du mouvement Arts and Crafts anglais (fin XIXe siècle). C’est un petit bijou caché au fin fond de la région des Cotswolds. Si vous êtes un peu baroudeur, à la recherche d’une expérience hors des sentiers battus, que vous aimez l’art et que vous n’avez pas peur de conduire à gauche, allez-y. Non seulement le bâtiment et les jardins valent la peine en soi, mais l’intérieur est une véritable petite merveille. Porcelaines, céramiques d’Iznik, tentures et papiers peints de Morris & Co, tableaux du peintre préraphaélite Rosseti, broderies, meubles, tout est une fête pour les yeux jusqu’au moindre recoin. Pour prolonger l’expérience de ce joli coin anglais, il y a un excellent pub en sortant du manoir, The Plough at Kelmscott. Le meilleur des Cotswolds, touristes en moins. Just a reblog this week as I am going away. 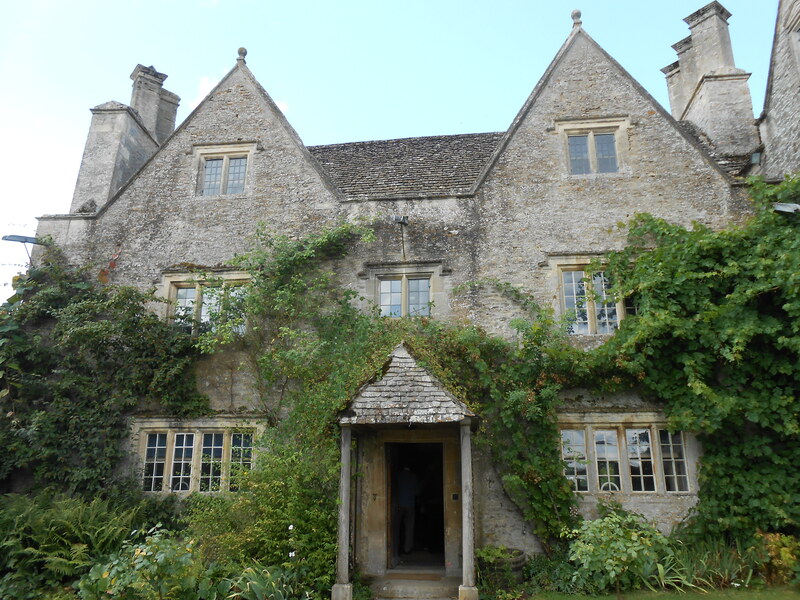 For those who are near the Cotswolds though, Kelmscott Manor, house of William Morris, is a must see and this is the season to see it at its best. Enjoy.